STUNNING Trendmaker Retreat! 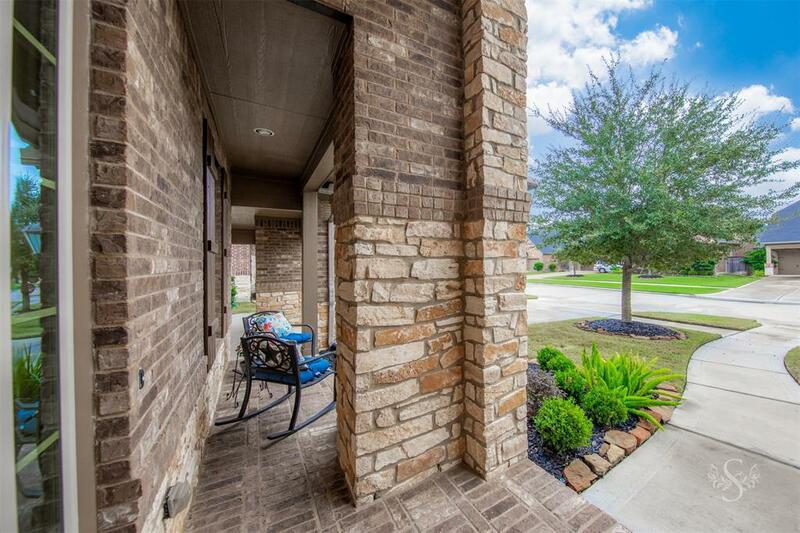 Brick and Stone elevation with covered front porch, lush landscaping and 3 car garage. 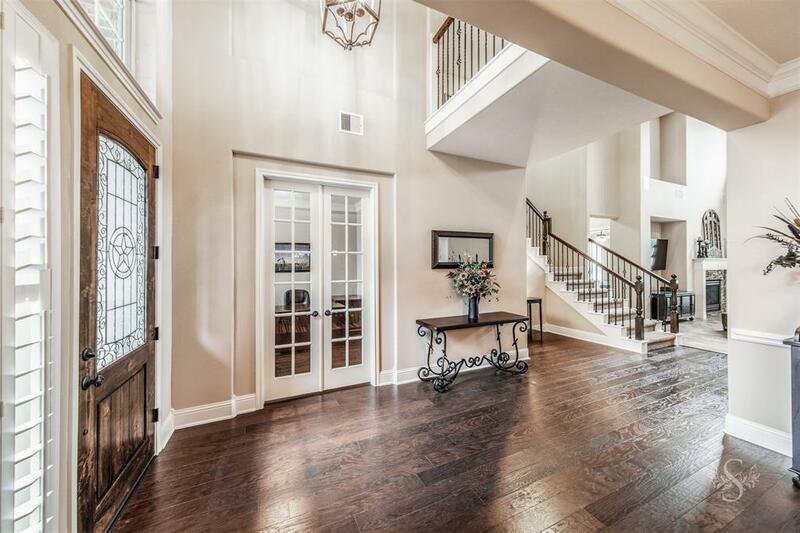 Rich wood floors greet you upon the 2 story entry and flow through the private study & formal dining room. 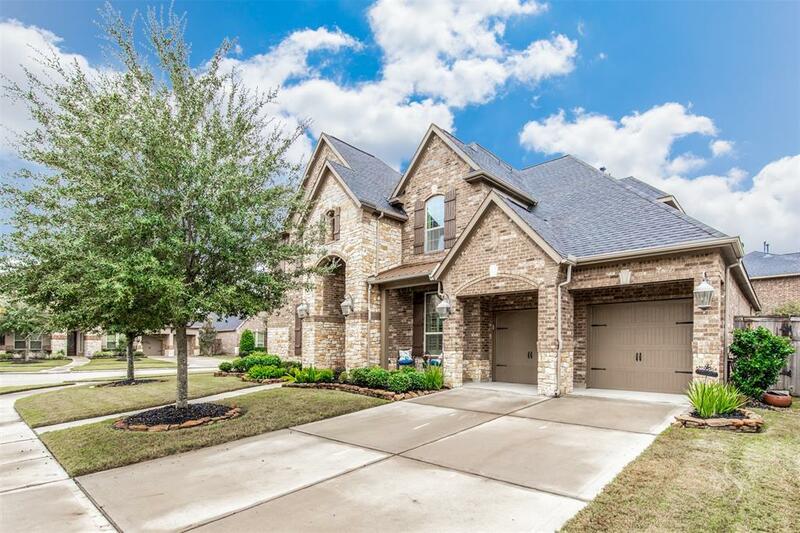 Kitchen is a DREAM with beautiful selections of granite counters, tile back-splash & tile flooring, stainless steel appliances, gas cooktop and DOUBLE OVENS. Buffet and cabinets in breakfast room, impressive family room with stone fireplace and large picture windows with view of the resort like pool & spa in back yard. Master suite includes sitting area by bay windows, the perfect place to unwind. Spa like bath with contoured whirlpool tub will melt your cares away. 2 BEDROOMS DOWN, 2 up and 4 FULL bathrooms & 1 half bath. Game room and media room up for your entertaining pleasure. Back yard boasts a covered patio with sunsetter awning and magnificent sparkling pool and spa for endless fun! This is what luxury looks like! 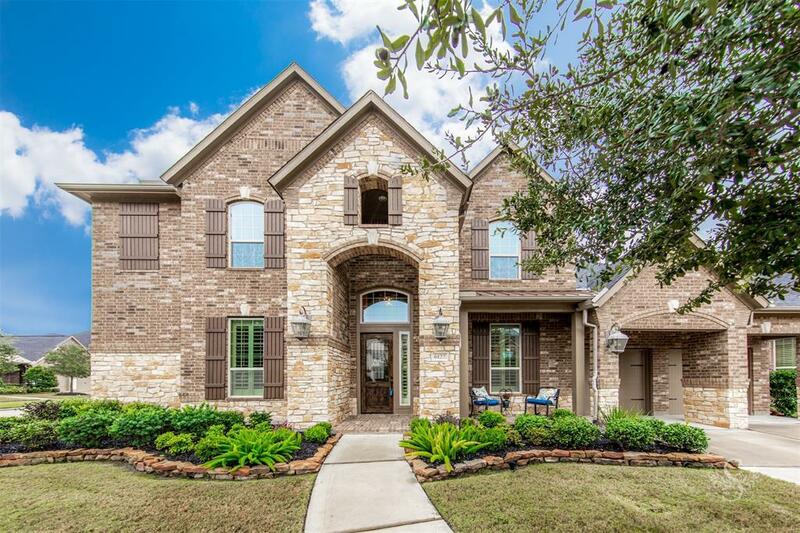 Come see this amazing home and fall in LOVE!